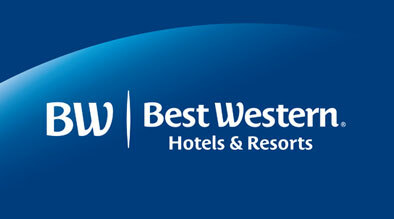 SANTA CLARA, California – (February 24, 2011) – Best Western Global announces the launch of a new hotel website. The site is designed as a one-stop destination for finding the right Best Western hotel for business and leisure travel needs. This website represents over 228 Best Western locations in 47 travel destinations in North America, Canada and the U.S. Virgin Islands. Leisure and business travelers can peruse our unique selection of exceptional hotel accommodations, make reservations, explore deals and packages and find useful information on local area attractions and activities. Users can browse top destinations and attractions to plan their next getaway and enjoy a great stay at a Best Western. Our new comprehensive website proudly features “Circle Tours” trip planner, which allows travelers to view recommended itineraries for regional and state destinations including New England, New York, Toronto, and Florida. Our new “Media Center” is packed with detailed photos and virtual tours of all our Best Western Global properties. Best Western Global hotels are located in 40 states across in the United States, five provinces and one territory in Canada, and on the Caribbean island of St. Thomas in the U.S. Virgin Islands. Whatever your destination, Best Western hotels welcomes you with well-appointed accommodations, exceptional services and easy access to local area attractions. For more information on Best Western Global hotels, or to make hotel reservations, please visit www.bestwesternglobal.com.